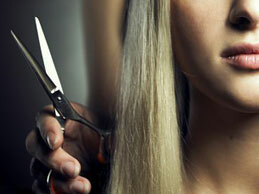 Whether you are Blonde, Brunette, Brown, Red, Black, Gray, or Exotic, you may find a new Hairstyle at Hairstyles Online. Select a color or type of hairstlye below! Hair Styles Online - Everything about hair and more! Check out some of the latest hair styles in Dallas and Worldwide! Hair coloring is trendy and like makeup is for anyone. The general trend is color that doesn't look like color, but gives hair shine and highlights skin tone. Streaks are "out". 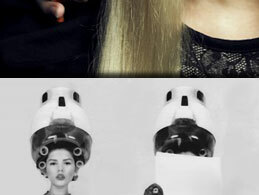 The trend is light blonde mixed with beige highlights, cold reflections or iridescent. When you have light skin you don't use dark foundation or powder. This principle also applies to hair. Stay close to what you really are. A natural hair color is rarely the same from the roots to the ends of a strand of hair. When you put on makeup you highlight your eyes, your cheeks or your mouth. The same principle of contrast must also be followed for your hair. It makes maintenance easier: when your hair grows back, you get very chic, very soft effects on the ends. Are you are losing your hair? 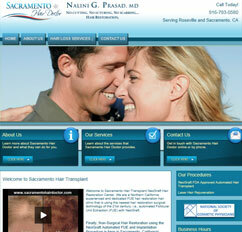 Hair Styles Online recommends the NeoGraft Non-Surgical Hair Restoration procedure for hair loss. If you are in Sacramento and suferring with hair loss, visit Sacramento Hair Doctor for more info on the NeoGraft hair transplant process. If you are a man in the Dallas area and suferring with hair loss, visit Androsmart for more info on the NeoGraft hair transplant process. If you are a woman in the Dallas area and suferring with hair loss, visit Femsmart for more info on the NeoGraft hair transplant process.